Choosing where to take your Grand National custom is a decision that will undoubtedly pick the brains of punters every April a we look at the latest Grand National Odds. 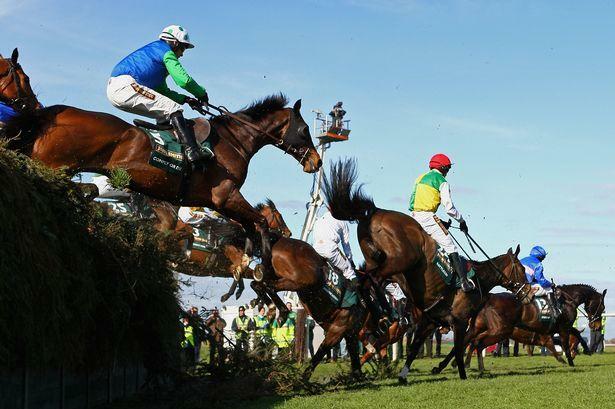 There are so many online firms, all of which provide fancy adverts and marketing campaigns to try and pull-in new customers when the Grand National comes into view. In our opinion, one of the major things punters should consider when comparing the different online firms is concentrating on how generous each respective firm is with their odds. Let’s be honest the main reason people sign up to these gambling companies is to get the best value for money, and, hopefully, make a few quid along the way. The best way to achieve this goal is finding a firm which always promises to offer the best odds possible. With this theory in mind, we recommend that punters sign up to Bet365 for betting on the Grand National. The Stoke-based firm are one of the top dogs on the scene for horse racing punting as they regularly offer their customers some brilliant reward schemes through inflating the odds of horses and offering great each-way terms. Throughout the Grand National Meeting, which runs from 4th-6th April Bet365 will be constantly updating their prices to ensure that they offer the best odds on every horse for all races that are shown live on Channel 4. That includes the Grand National itself on the Saturday, meaning Bet365 customers will be able to get-on at the best odds in the industry on the morning of the race. This means the following list of bookmakers: Ladbrokes, William Hill, Paddy Power, Coral, Totesport and Boylesports, all will not have bigger prices than Bet365 on the morning of the race. So, you can place your Grand National bets, whether it’s on the favourite On His Own at 8/1 or 25/1 shot Imperial Commander, safe in the knowledge that the Bet365 price is the best price. For punters looking at backing a horse in the win-market then the aforementioned Imperial Commander could be the horse to follow with Bet365. Nigel Twiston-Davies runner is a former Cheltenham Gold Cup winner who has suffered with injuries since his famous beating of the great Denman in 2010. He has returned this year to good effect when just being denied in the Argento Chase by Cape Tribulation, but the way he jumped in that event suggested that the Grand National fences should suit him very well. People will be quick to dismiss him because of the lofty weight he has to carry but classier horses are now winning the Grand National due to the handicap becoming more compressed. Each-way punters will also be delighted to know that Bet365 are offering very appealing each-way terms on the 40 runner bumper handicap. They are promising to pay the first five places for all each-way bets, which is a great tool for punters to take advantage of. Bookmakers can be very cheeky around the time of the Grand National by offering very unappealing odds to casual, once-a-year punters, that may not understanding the odds compiling process as well as a hardened horse racing punter. But Bet365 aren’t part of those cheeky beggers and the quarter odds they offer for the first five are very fair, especially if punters are looking at backing the bigger priced horses in the Grand National like the well fancied long shots Roberto Goldback, who is trained by Nicky Henderson and is 33/1 with Bet365. The horse is perhaps higher in the weights than Henderson envisaged at the start of the season after an impressive win in a valuable Ascot handicap chase but he is all class and should relish the National fences with Barry Geraghty in the saddle.